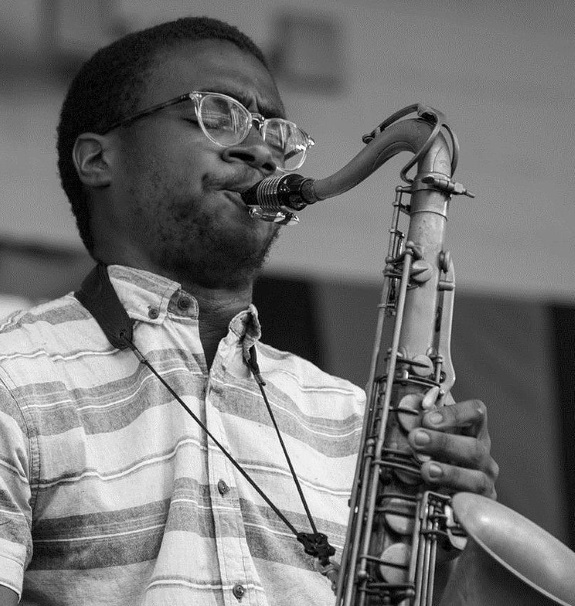 Multi-Instrumentalist Morgan Guerin is currently studying at The New School for Jazz and Contemporary Music. Before starting college, Morgan was a member of the Rialto Youth Jazz Orchestra and has performed at the Atlanta Jazz Festival annually since 2011. Morgan was selected to be a part of the Grammy Band and had the opportunity to attend and perform at the 58th Grammy Awards and in January 2017, Morgan was selected as a National Young Arts Finalist. Morgan recently joined his long time mentor, Terri Lyne Carrington’s new band, “Social Science” also featuring Matt Stevens and Aaron Parks. Morgan plays Bass, Saxophone and EWI as a part of Social Science.